We take great pride in our work and love to see pictures of the finished product in our clients homes. 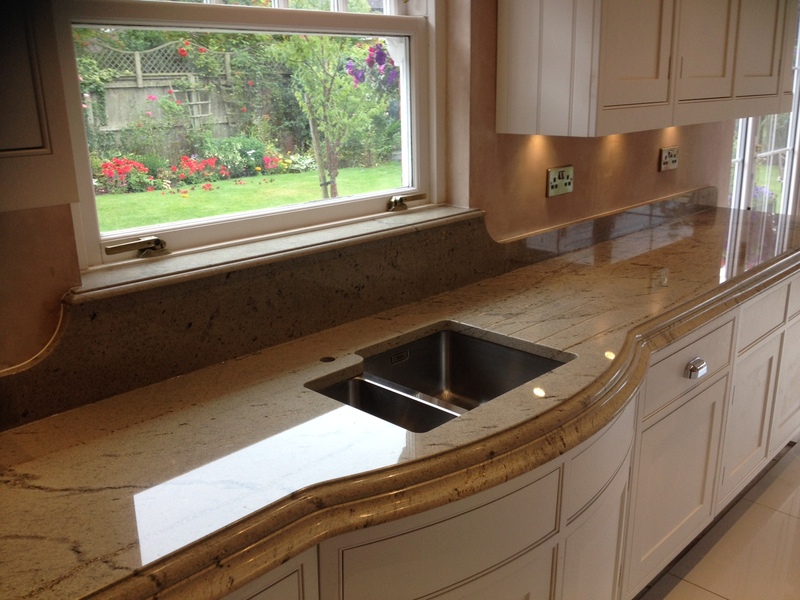 The worktops in this stunning picture are Ivory Spice granite with a bespoke 30mm/30mm Du-Pont on Ogee edge profile. All our profiles can be viewed under the technical details tab, helpingÂ you to create your own unique look.